Very spicy and always crisp, these cookies are almost foolproof for a child cookie-making project. Popular any time of the year, they are especially nice during a holiday season. Just choose the appropriately shaped cookie cutter. Royal Icing: Beat 1 egg white until frothy. Whip in 3 to 4 cups unsifted powdered sugar until icing is smooth and can be forced through a cake decorating tube or bag. Flavor with 1/2 tsp. vanilla, lemon or almond extract. 1 . Cream butter and brown sugar. Add cinnamon, ginger, cloves and baking soda. 2. Whip in 1/4 cup of the water and stir in the flour. Dough should be pliable and easy to roll out. If the humidity in your area is very low, you may need to add more water to keep dough from being crumbly. 3. Roll dough out to about 1/4 inch thickness – the thinner the dough the crispier the cookie. 4. 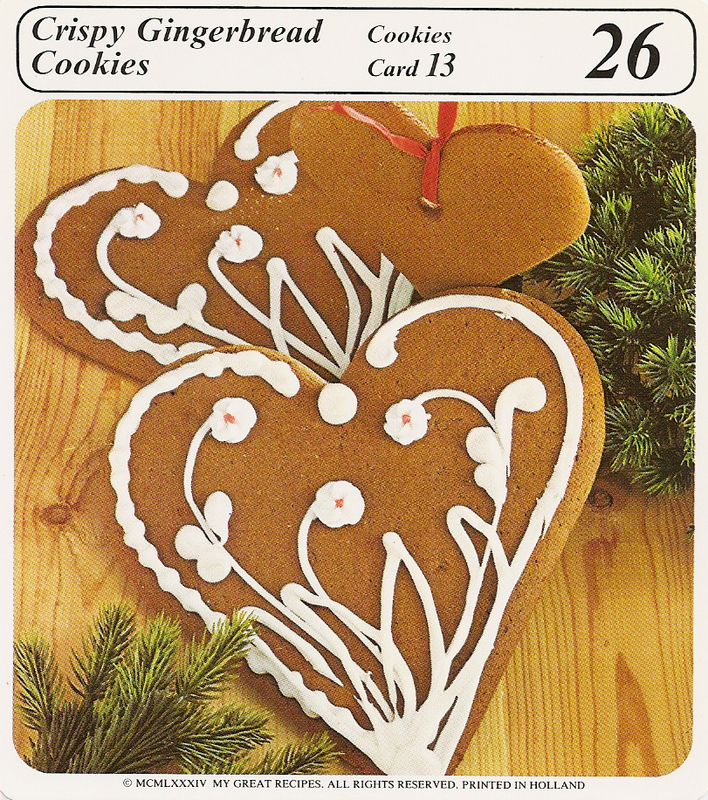 Cut out cookie shapes as desired such as gingerbread men, Christmas wreaths. Valentine hearts or scalloped rounds. 5. Place cookie cutouts on lightly oiled baking sheets. Bake at 375°F for 8 to 10 min. Cool. 6. Decorate with Royal Icing, if desired.